The IBPS CLERK Mains Exam 2018 – January 20, 2019 is over now and we have the overall review and analysis of the exam which was written by some of the bright minds in the country who will be battling for the 7000+ Vacancies which are available for the IBPS CLERK Exam 2018 – 2019. 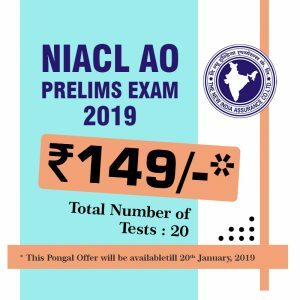 This is the most sought exam and this also starts the exam season for the year 2019 along with LVB PO 2019 and this Mains exam has identical exam pattern as like that of the other exams. The level of the exam was moderate and all the sections available in the IBPS CLERK Mains Exam 2018 were in the moderate range. The expectations are high level and everyone is very eager to know the review and we are here to provide the analysis of the IBPS CLERK Mains Exam 2018. Aspirants can finally get answers for the following questions. 1. How tough is the Questions in the IBPS CLERK MAINS EXAM 2018 ? 3. New Pattern / Old Pattern Questions IBPS CLERK Mains Exam 2018 – Review & Analysis? 4. If new pattern questions , in which particular section, they are asked ? 5. How many questions , each candidate have attempted ? 7. How many Computer Aptitude Questions were asked in the IBPS CLERK MAINS EXAM 2018? 8. Is the IBPS CLERK MAINS EXAM 2018 in the Easier Level or Tougher Level ? 11. How tough is the English section ? How many Questions have you attended in the IBPS CLERK Mains Exam 2018? English section was in the Moderate to Difficult Range. Totally 3 Different Reading Comprehensions were asked. Sentence Rearrangement was asked which was in the moderate range. Based on the feedback from the aspirants, English Language will be the key to determine the overall score. Reasoning was in the Moderate – Difficult Level. More number of questions from the Puzzle & Seating Arrangement Questions sets. Directions questions were asked which were based like A@B —>>> A is South of B which accounted for 4 questions. Critical Reasoning Questions were asked. Machine Input Output Questions were asked which were in the Moderate Level. As Predicted, Caselet DI was asked along with Bar Graph , Pie Chart & Table. No Mixed DI Questions were asked. Data Sufficiency Questions were asked. 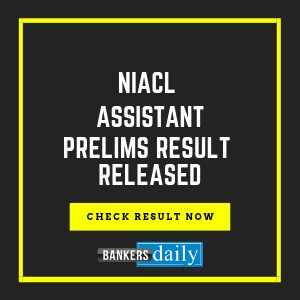 There were Mixed Reviews for the IBPS CLERK mains exam 2018 as there some aspirants have mentioned that the general awareness section was in the easier to moderate side and many have suggested that they have attended more than 20+ Questions (with accuracy). Mostly Questions were from the last six months CA. 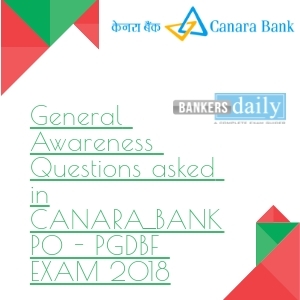 General Awareness Questions asked in IBPS CLERK Mains Exam 2018 – 20th January 2019 will be updated in a few minutes here. what is the expected cutoff? ?